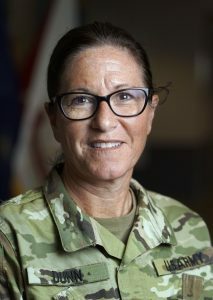 Col. Diane Dunn's 30-year career in the Maine Army National Guard includes a 10-month stint overseeing supply convoys out of Kandahar Airfield. It happened almost every night, in the darkest hours between midnight and dawn. An announcement on the public address system would invite all available personnel to a ramp ceremony. Hundreds of soldiers and civilians among the coalition forces at Kandahar Airfield in Afghanistan would gather to salute as flag-draped caskets were loaded onto cargo planes. Then-Lt. Col. Diane Dunn would hustle over and take her place among the solemn witnesses. It was 2009 and she was commander of the 286th Combat Sustainment Support Battalion of the Maine Army National Guard out of Bangor, overseeing 1,100 service members in seven companies with a staff of 82 Mainers. Dunn was usually awake when the call sounded. Besides the disruption of nightly rocket attacks, she often stayed up late to monitor the GPS tracking supply convoys on their way to or returning from the front lines. It was difficult to sleep when members of her staff could be rolling into harm’s way. One night there were eight caskets on the runway, after a combat crew ran over an improvised explosive device (IED). A soldier played taps. The tarmac, heated by the blazing sun all day, scorched her feet through the soles of her boots. Bagpipes played as the casualties were carried up the ramp and into the belly of a plane. 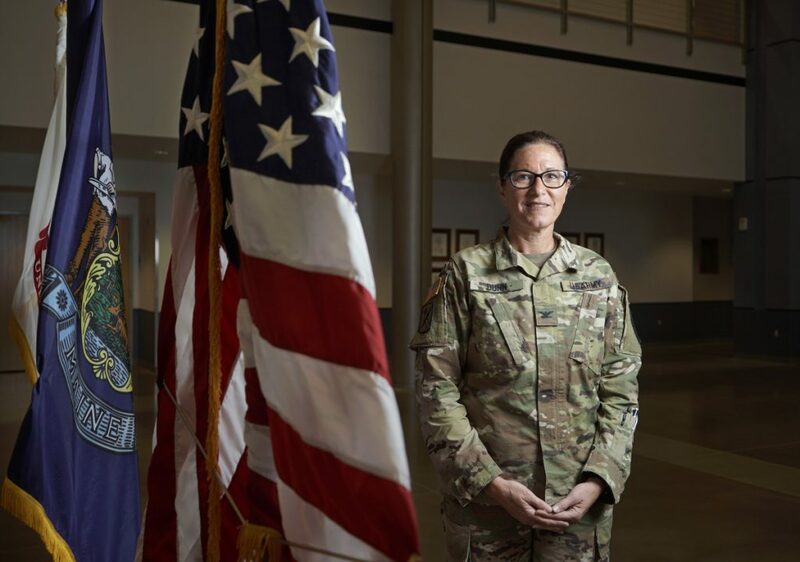 Dunn has since risen to the rank of colonel and, as chief of staff, is now the highest ranking female staff officer of the Maine Army National Guard, headquartered at Camp Chamberlain in Augusta. 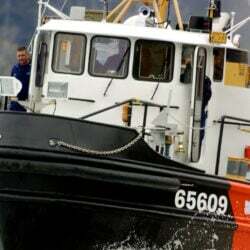 She recently extended her service through 2020, but retirement is in the offing after 30 years – the last 20 full-time. Then Lt.-Col. Diane Dunn served in Afghanistan from March to December 2009 where she oversaw 1,100 service members in seven companies. Dunn, 52, grew up in Farmington, Jay and Lewiston, a proud product of French-Canadian, Irish and Penobscot Indian ancestry. Her family also has deep roots in harness racing, starting with her grandparents. She and her husband, Jim, raise horses on their farm in Newburgh, near Bangor, and he races them across the Northeast and in Florida. Dunn recalls her youth with mixed feelings because of the upheaval she experienced in the lifestyle that surrounded horse racing. She spent her high school years in Minnesota, where she found refuge and religion through a friend whose father was a church pastor. One of four children, Dunn was the first in her family to go on to higher eduation. She joined the Army ROTC while attending Houghton College, a Christian school in upstate New York. 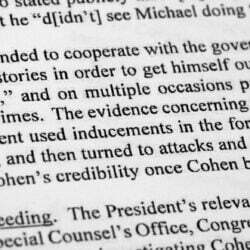 Soon Dunn was studying weaponry and war strategy. After graduating in 1988 with a degree in psychology, she joined the Maine Army National Guard as a second lieutenant and started a 10-year stint as a social worker with Community Health and Counseling Services in Bangor. Her civilian career ended in 1997, when she took a full-time job as battalion training officer for the Bangor unit. Dunn was in Afghanistan from March through December 2009, when military action and troop numbers began to surge and the population at Kandahar Airfield grew from 8,000 to 22,000. “It was like a little city,” she said. Though she rarely left the base because of her leadership position, Dunn rode in several supply convoys, traveling into areas where being attacked or hitting an IED were real possibilities. She was traveling in a helicopter when it came under fire, she said, but she didn’t learn about the attack until it was over. Dunn was on base in July 2009 when a 22-vehicle convoy returning from Oruzgan Province was ambushed in one of the largest complex attacks on U.S. troops in Afghanistan. She immediately relocated to an outpost near the attack. The convoy, with two to four soldiers in each vehicle, was pinned down by heavy enemy fire for nine hours. No one in the convoy was killed, but several soldiers were injured and received Purple Heart medals. More than a dozen vehicles and a helicopter were seriously damaged or destroyed. When the battered convoy finally made it to the outpost after the attack, Dunn went looking for its commander. She found the first lieutenant in her gun truck. A devout hockey mom who has three grown children and two grandchildren, Dunn is a reluctant role model in a modern military where many soldiers serve multiple deployments in a continuous war. While women have increased from 2 percent of enlisted forces in 1973 (when draft ended) to 16 percent today, Dunn said she is often the only woman at leadership meetings. Dunn said she views her role as a mentor more broadly, striving to promote equality and professionalism among both male and female recruits. Eventually, she said, her accomplishments won’t be so uncommon.